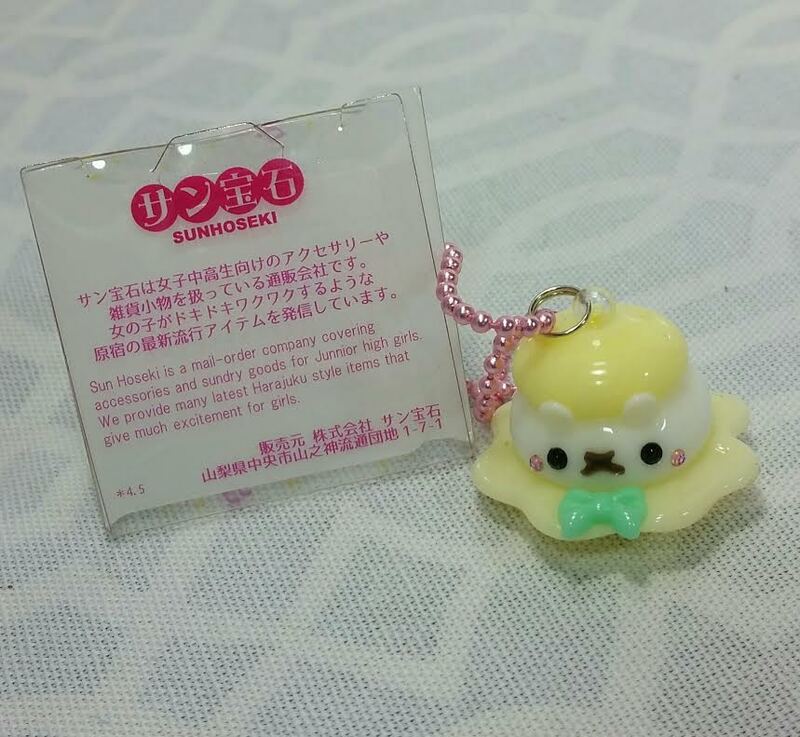 Petit Lapin Silicon Charm- Petit Lapin is a Japanese bunny who loves French culture. When he is wearing his beret he looks like a macaron. 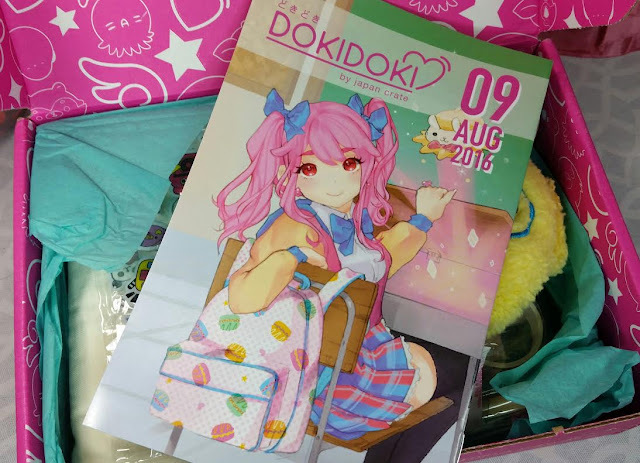 Every box will have a charm like this. Homeroom Bear Pass/ID holder- This is one of the new exclusive plushies by Japan Crate This is Calvin but Coco can be found in some boxes. 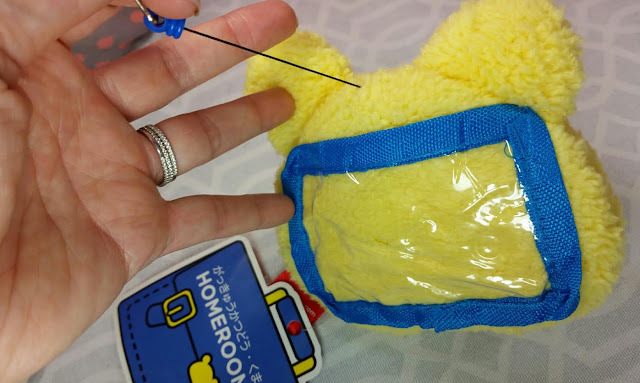 This is so cute and has a stretchy string that allows you to pull your ID out without having to de-tach Homeroom bear from your bag. Rilakkuma Shirt- So cute! I have friends who love Rilakkuma and I have a sneaking suspicion they're going to be quite jealous when they see me in this. Yes, I'm wearing it. I don't care if I'm old, I'm young at heart! 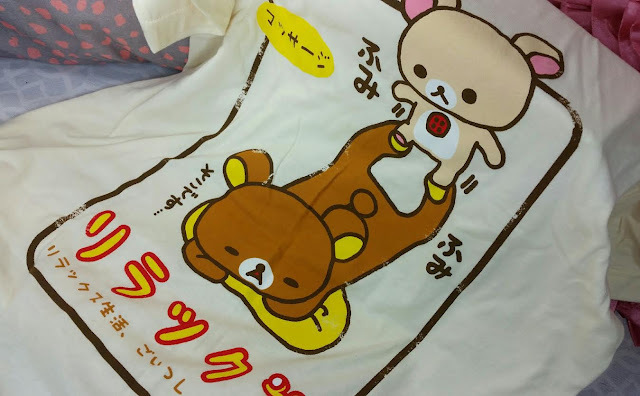 The shirt has short sleeves and the print shows Korilakkuma giving Rilakkuma a massage. 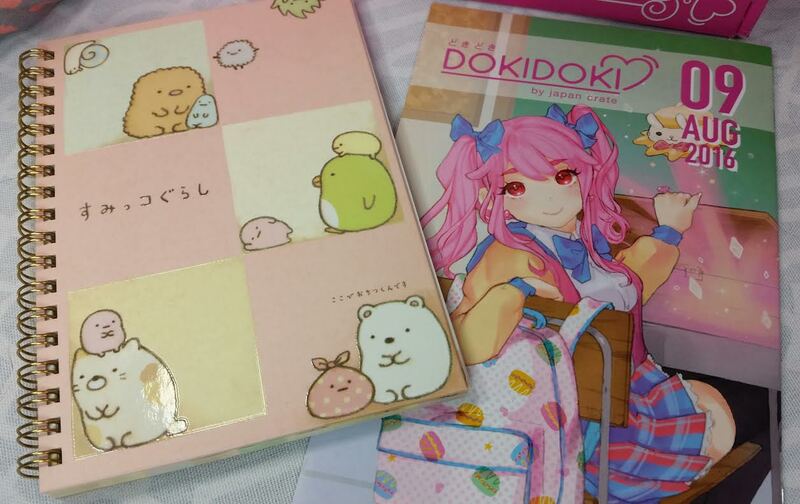 Hoppe-Chan and Doki Doki Friends Stickers- Puffy stickers for decorating your books, notebooks, face, workbooks and journals. Totally cute! 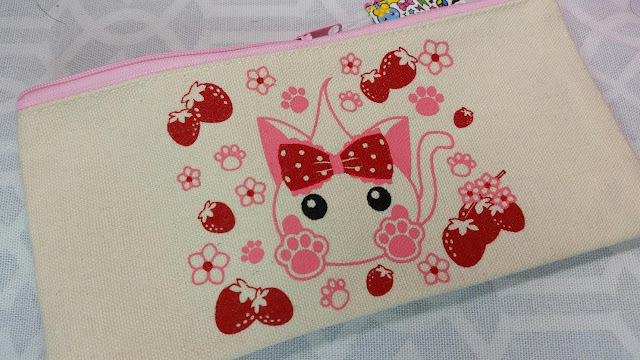 Hoppe-Chan Pencil Case- A super kawaii canvas pencil case with zipper. Sumikko Gurashi Notebook- This is my favorite thing! I love the artwork and the colors. It's a spiral which I always appreciate and the pages are lined. 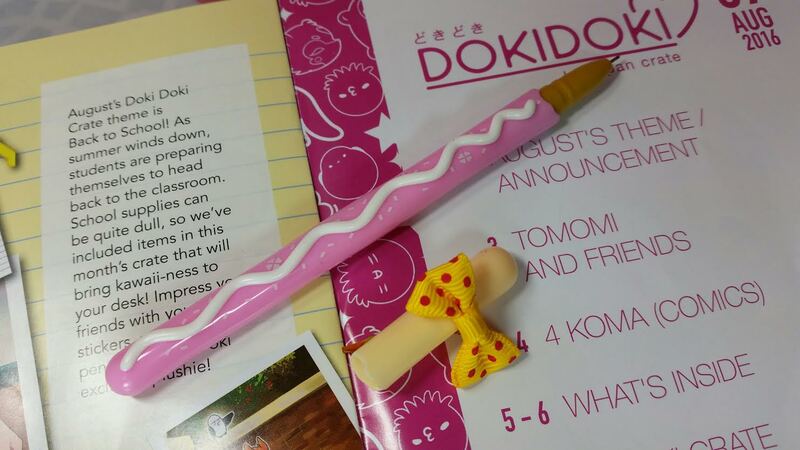 Chocolate Dipped Biscuit Pen- Looks like a strawberry Pocky to me! Cute! 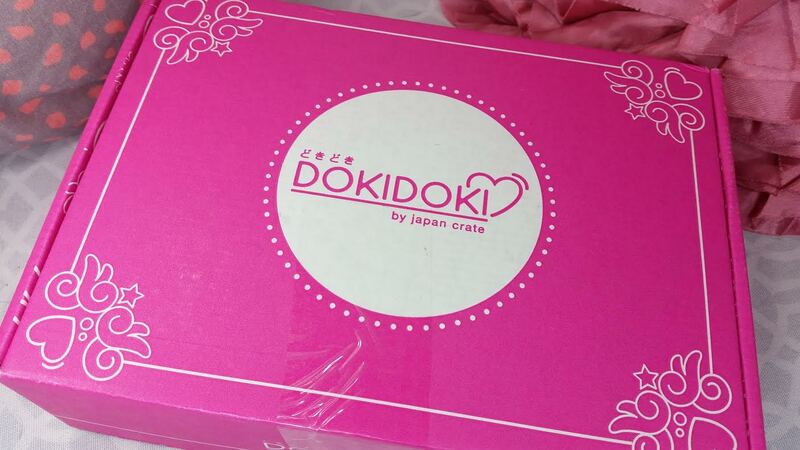 VERDICT: I think Doki Doki Crate is one of the most fun kawaii boxes out there. The fact that there is a shirt in every box is pretty amazing. That alone can account for half the price of the box itself. Plus, who doesn't love fun stuff like this? I don't know anyone who wouldn't think these things are adorable! 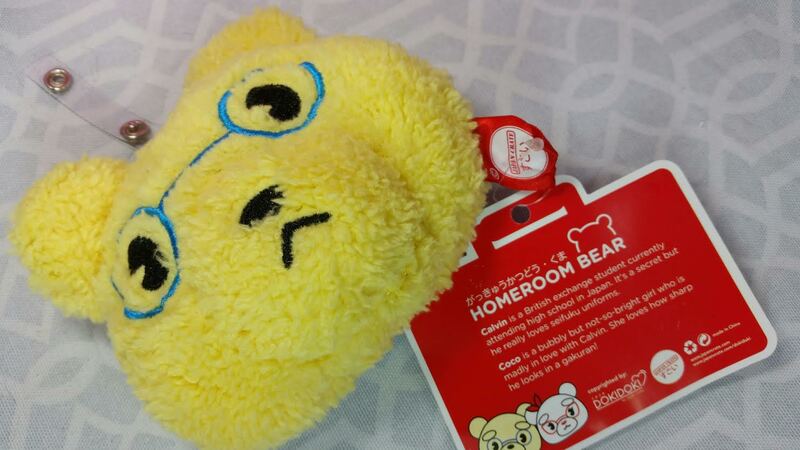 I'm racking my brain on what to do with Homeroom Bear because he's so cute. This box is totally worth it. 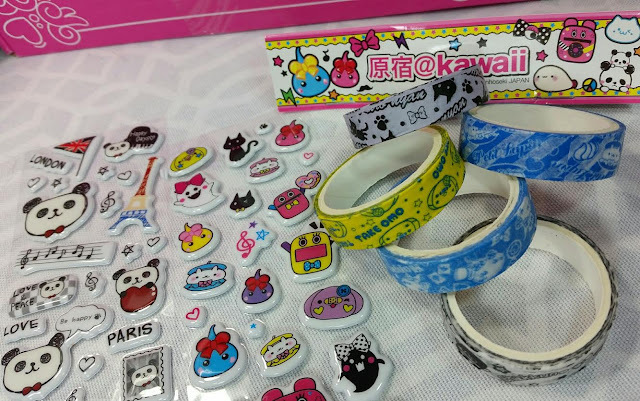 If you know anyone who loves kawaii, they neeeeed this box! If you would like to sign up for Doki Doki Crate, you can do that here. Use code BITSANDBOXES for $5 off your first month. If you sign up before August 31 at 11:59pm, you'll start with the September box which has TWO exclusive Pusheen items in it! 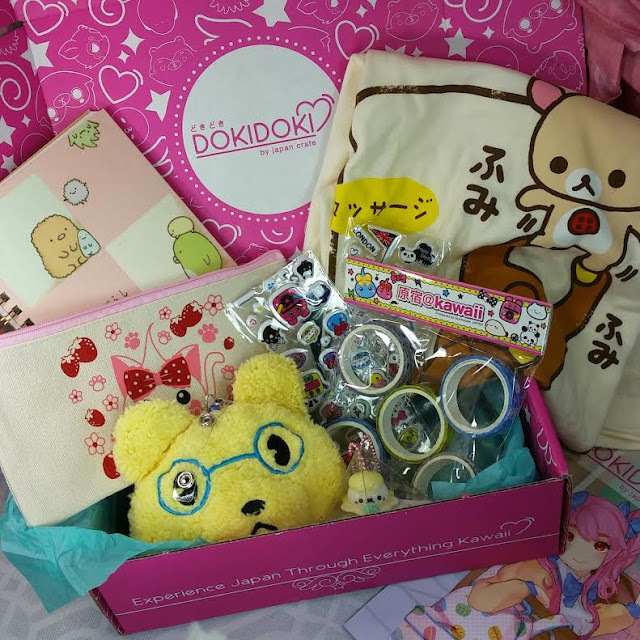 Shipping is free within the US and $10-$15 internationally (depending on the box).